The first meeting of the 2018 Practical Ed Tech Coaching Group is next Tuesday. Another member joined last night and another person inquired with a question about the topics to be covered in the group. In addition to these webinars there is a monthly members-only Google Hangout for open discussion and Q&A about anything that members want to talk about. And throughout the year members can participate in a Slack group for extended discussion. 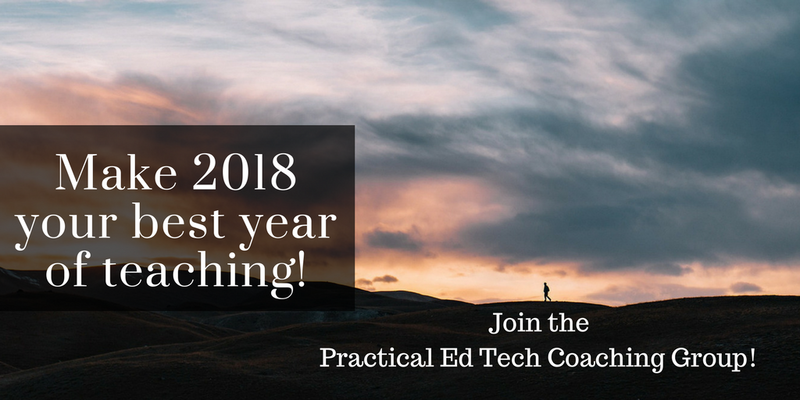 Click here to join the 2018 Practical Ed Tech Coaching Group.